Creator vows to remove his game from the App Store and Google Play. Find out how this player scored 290 in Flappy Bird. 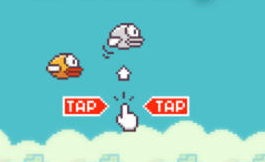 The biggest mobile news of the day involves Flappy Bird. While that's no surprise given its popularity, the actual story makes us sad. It appears creator Dong Nguyen has had enough of the negative press and will remove the game from the iOS App Store and Google Play in 22 hours. That means no Flappy Bird for iPhone, iPad or Google-powered device ever again. Nguyen Tweeted, "I am sorry 'Flappy Bird' users, 22 hours from now, I will take 'Flappy Bird' down. I cannot take this anymore." The shocking news comes amid speculation that Nguyen used bots to push Flappy Bird to the top of the free-to-play charts, and may have yanked the green pipes in the game from Super Mario Bros. Personally, we love Flappy Bird and want to see it thrive. That said, make sure you download the game before it's lost forever.